My kids love this. 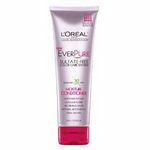 I don't use in on my hair it dries my scalp. It works better on my boys than myself. I but this product all the time. Love using this product for the price. You do have to use a decent amount but it's better than buying a $10 product when you can't afford it. This is the worst shampoo and conditioner. It dries my hair out like crazy and my scalp gets so itchy. I wouldn't buy this except if it was a last resort. This is by far my favorite conditioner!, it smells absolutely amazing! Suave Naturals Tropical Coconut Conditioner is very inexpensive, but not a top quality hair conditioning product. When on sale, a small bottle of this conditioner can be found to ninety-nine cents. If you have a young child who likes to use conditioner, just want to condition the ends of your hair, or maybe just like the scent of coconuts then this product might be satisfactory. 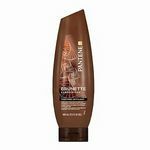 It is also really easy to find this conditioner at drug stores, grocery stores, and large mass merchandisers. Effectiveness Suave Naturals Tropical Coconut Conditioner is not very effective. A very large quantity of conditioner is needed to do any degree of conditioning job and even with that, the results are mediocre. 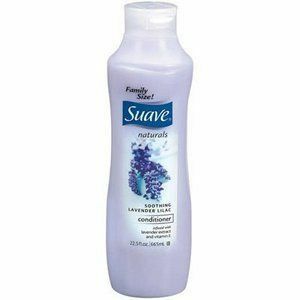 The product is called Suave Naturals, but I do not think that overall it is a very natural product. Scent Suave Naturals Tropical Coconut Conditioner does at least smell like coconuts. The scent doesn't last very long though. I tried Suave Naturals Tropical Coconut Conditioner once when it was on sale and have been buying it ever since. My daughters and I love how this product makes our hair feel at half the price of other hair products. We all three have long thick hair, and Suave Naturals Tropical Coconut Conditioner keep our frizz free and keeps the split ends away. Effectiveness Suave Naturals Tropical Coconut Conditioner is as effective as more expensive products in making my hair smoothy and silky. It keeps my flyaways at bay and keeps my hair tangle free. I leave it on for a few minutes while I shave my legs and it deep conditions my hair keeping it smooth and shiny for days. Scent The best part about this product is the smell. My daughters love how it makes their hair smell like a tropical vacation. It has a sweet coconut fragrance without being too strong and overpowering. My husband is always commenting on how my hair smells like a beach vacation. Suave Naturals Tropical Coconut Conditioner is an economical choice for a conditioner. I assumed the quality of this conditioner would not be all that great because it was so inexpensive. I was very wrong. First, the scent of this conditioner is wonderful. The coconut scent is present but it is not overwhelming. I love how the scent of coconut stays for several hours after I have finished washing my hair. Second, this conditioner does not weigh my hair down. This is very important to me because my hair is fine. I use the conditioner every few days and it leaves it shiny and full of body. Finally, the price is definitely right. I usually purchase the family size bottle of this conditioner and it lasts us about six weeks. Overall, I am very satisfied with Suave Naturals Tropical Coconut Conditioner. I love the scent, the texture of the product, and the price per ounce! I really like this product. 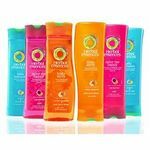 It is very affordable and it makes my hair smell good and feel good. Some conditioners are super expensive and don't make my hair feel nearly as nice as this conditioner does. Soothing lavender lilac is one of the best scents too. Use it with the Suave shampoo as well. This is probably the worst conditioner that I remember using. Ever. I got this and the same line of shampoo on a great sale once. I stocked up and have long since regretted it. I am not one to throw things away, but this, eventually, was tossed in the garbage. I still use the coconut shampoo, but I only use it when washing my kids' stuffed animals' hair. This conditioner has a nice scent and that is about it. It is not very effective and what moisture it does impart is not really ideal. It is somewhat greasy and is unflattering. It makes the hair clump into stringy sections. It almost undoes the clean nature of freshly washed hair. I certainly gave this conditioner a fair amount of chances and was always disappointed with the results. I kept this bottle for much longer than I should have and eventually I let it go. So the take away is that no matter how good the deal, I will not be tempted to buy Suave conditioner (or shampoo) again. It's especially disappointing since I have really liked other Suave products in the past. The most affordable hair product brand! I must admit that the only reason I purchased this product to begin with was that I had forgotten to pack conditioner during one of my vacations. The Suave Naturals brand initially caught my eye because it was easily the least expensive hair product brand I could find in the store! 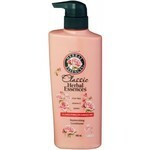 The best thing about this product was that its scent is the best I have ever smelled! I would not mind purchasing this again just because of the tropical coconut scent. However, in all other aspects, I would say that it is simply average. My hair did not feel particularly more shiny, soft, or healthy after using it several times. Nor did it feel as though it did anything for my damaged and color-treated hair. I suppose this explains why it is so affordable! If you are looking for a product that will be more beneficial for your hair in the long run, this is not it, and I would recommend to look elsewhere. Otherwise, it is not really a terrible hair conditioner by any means.